Many hospitals strive to achieve Magnet® designation to highlight the clinical accomplishments achieved within their organizations. One evidenced-based practice that can be used to demonstrate what Magnet considers Exemplary Professional Practice (EP) is a comprehensive safe patient handling (SPH) program. In the 2014 Magnet Application Manual under EP18EO: Workplace safety for nurses is evaluated and improved, facilities are asked to provide two examples with supporting evidence of improved workplace safety for nurses resulting from the safety strategy of the organization. The structural components of a comprehensive SPH program are made up of many of those necessary strategies, which at my facility, we were able to include as examples of our Sources of Evidence. Should a SPH program be implemented and followed as recommended, it’s likely to systematically generate the staff empowerment required to produce the kind of quality outcomes, which can help in making the case for Magnet designation. At the inception of the decision made to create an SPH program, employee injuries related to moving and handling patients are identified, validating the need to implement mechanical patient-lift devices into clinical practice. In choosing a patient-lift vendor, deciding the types and quantities of equipment needed, and soliciting feedback from staff for how equipment should be integrated into the facility’s current clinical practice model, Magnet‘s definition of a care delivery system is established. Through arranging a facility-wide vendor fair for equipment vendors to showcase their patient-lift equipment to staff, and ultimately selectors of equipment, this allows nursing staff to assume authority over the clinical decisions made to improve patient-lift practices while creating accountability for the resulting outcomes. After the initial equipment selection is made, an excellent opportunity is created for the nursing department to take the lead on how the injury prevention program will be implemented into the organization’s clinical processes. Ideally, an SPH coordinator would be selected so that a central figure is in place to address the inherent challenges that will occur as part of the implementation process. For example, if a facility decides to purchase a large volume of overhead ceiling lifts, an RN selected as the SPH coordinator is best positioned to coordinate the new injury prevention methods between ancillary departments that consistently contribute to the operations of nursing units and outpatient clinics. These departments include facility management, infection prevention, laundry department, logistics, storage/warehouse, biomedicine, maintenance, and environmental services. Not only is coordination among these departments essential through the pre-implementation and initial implementation phases of the program, but ongoing departmental synchronization of program processes typically yields successful SPH program outcomes. Consistent collaboration on all organizational levels is paramount if employee and patient safety is to be improved. These interdisciplinary relationships with other departments are also one of the requirements needed to be recognized as a Magnet organization. Once equipment roll-outs and installations are complete, training programs must be established so that staff can become competent in operating equipment. Professional development processes must be in place so that staff members are familiar with various patient-lift devices, understand situations for when equipment should be used, and are familiar with the cleaning and redistribution processes of equipment and associated accessories. Staff must also be able to educate peers and patients on newly implemented patient-lift processes. As an ongoing effort to sustain the SPH program long-term, additional ideas include training curriculum for new employee orientation, employee committees to focus on back injury prevention, education incorporated into the facility’s virtual or simulation labs, and employees selected to act as SPH safety experts for their individual nursing units. When the tenets of the SPH program are effectively organized, and carried out according to doctrine, lasting results originate in the form of reduction in employee injuries, reduction in light duty days, and reduction of days missed from work related to patient handling injuries. These types of results serve to satisfy the evidenced based outcomes needed for Magnet consideration. Having been the SPH coordinator in an organization that currently holds its third consecutive Magnet designation, I know that the journey to accomplishing and maintaining this feat is demanding at all levels. Fortunately for our facility’s SPH program, the evidence needed for Magnet was already built into an artfully crafted program structure created by the Department of Veteran Affairs (VA). Having followed the recommendations set forth by the VA coupled with recommendations found in the American Nurses Association’s Implementation Guide to the Safe Patient Handling and Mobility Interprofessional National Standards guide, our success relied more upon our abilities to successfully implement the processes as outlined. Through the successful performance of those steps, our program along with its positive impacts on employee and patient safety were written into our final Magnet document. For those organizations seeking or currently enduring the path towards Magnet, the questions to be answered are, what inner strengths will allow your organization to withstand the journey? What will it take for your organization to align all its resources to work towards one common goal? A comprehensive SPH program would make for an excellent consideration. 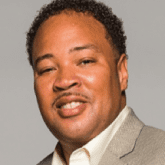 Roric P. Hawkins is the founder and President of The RP Hawkins Group and is the safe patient handling coordinator at Michael E. DeBakey VAMC in Houston, TX. The views expressed here are his own.